Choosing the perfect sleeping bag | Our checklist for the best choice. Nothing can ruin a camping trip or a cycling trip quite like a bad night’s sleep, and an inadequate sleeping bag can be a big culprit. 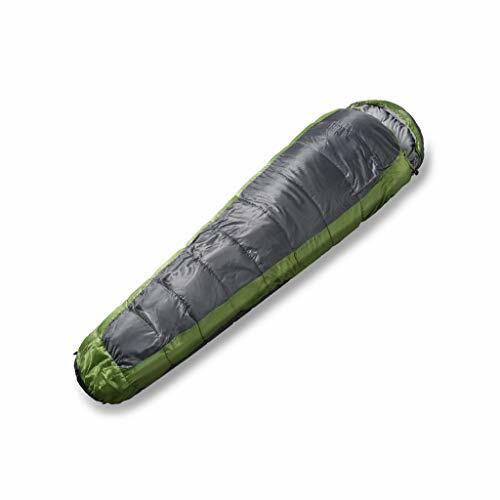 Sleeping bags have a significant impact on comfort and are a piece of gear that you don’t want to skimp on. If you’re going to invest your money into one single piece of equipment, it’s important to do your research to pick the best one for you. Not only are there are a lot of sleeping bags on the market to choose from, but it is also a lot to consider like weight, packability, warmth, and comfort. Below we go through what all the details mean in sleep bag specifications, how to choose the right one for you and the best ones on the market today. Weight: A car camping sleeping bag is going to be a lot heavier compared to a backpacking sleeping bag due to materials. Packability: The materials that are used to make backpacking sleeping bags also allow the bag to be compressed into a much smaller area than most car camping sleeping bags are, thus being able to fit inside a backpack. These two factors alone highlight the importance of choosing the right back for your activities. If you plan to backpack sometimes but also car camp, we’d recommend getting a backpacking bag to fit both activities. These are based on the average camper temperature and definitely, aren’t set in stone. If you’re in the middle of a season for the desired temperature of your potential sleeping bag, we recommend that you choose the lower temperature bag simply because you can always unzip the bag if you get too warm. Onto the next category: sleeping bag shape. This factor might seem like a silly thing to need to decide, but you’d be surprised to find that not all shapes are always comfortable for you! There are four main sleeping bag shapes, each with their pros and cons. Rectangle: These traditional bags allow the most room for both arms and legs to move around. 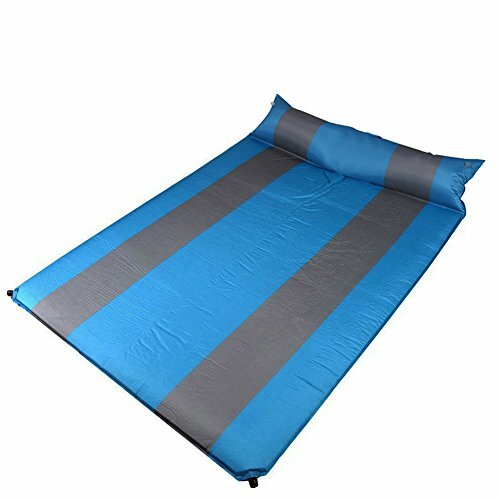 They are usually pretty bulky but provide a lot of comforts and usually used while car camping. They aren’t the best option for those campers who run cold due to all the dead space where heat is lost, but they do offer the opportunity to completely unzip and use as a blanket if it’s too warm. Semirectangular: also known as the “modified mummy,” this bag cuts down on the roominess and weight of the rectangle bag, but still allows more room than a mummy bag. It is a great compromise shape for roominess and warmth for those who can’t decide between the two polarizing shapes. Mummy: This bag provides a snug fit and keeps you warmer in the process. While some may feel a bit claustrophobic in the smaller space, it can cut down on weight considerably which can save your back in the long run. Double bags: While some people may use separate sleeping bags as a way to get some space from an S.O. on a camping trip, some only want to get closer. Double sleeping bags are much heavier than single bags but provide the opportunity to not only snuggle at night but also share body heat. When it comes to picking a sleeping bag shape, take into consideration the weight of the bag, but also your comfort. It might fit all the specifications you’re looking for, but if the bag isn’t comfortable enough to sleep in, you’ll find it difficult to be excited about your purchase. Down: In short, it’s lightweight, easy to compress, excels in cold and dry conditions and it’s very durable. It’s a highly sought after material because it’s lighter and more compressible, but can be on the more expensive side. Synthetic: This material is quick-drying, insulating even when wet and non-allergenic. It offers solid performance at a very affordable price. Hybrid: There are some bags out there that have synthetic insulation on the bottom of the bag and down insulation at the top of the bag. Not very common, but offers the best (and worst) of both worlds. 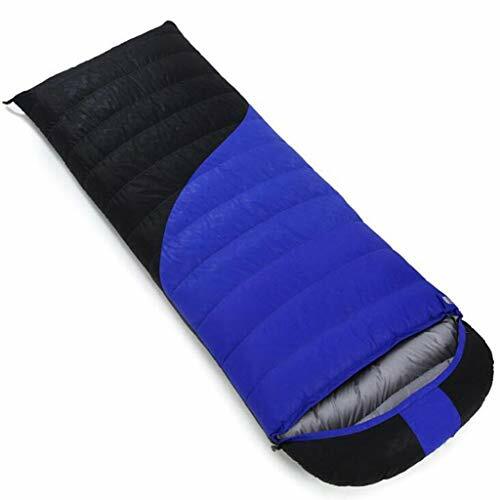 When if you’re considering buying a backpacking sleeping bag, you’re going to find a lot more sleeping bags that have down insulation simply because of the weight and packability aspects. If you are environmentally conscious and want a down bag but without the animal product, look out for “Responsible Down” to ensure humane treatment of the ducks and geese that provide down feathers. Zipper length: While some of us might assume that a sleeping bag’s zipper goes from top to bottom, we’d be assuming wrong! There are full-length zippers, left or right zippers, foot box zippers, and anti-snap zippers. These features are going to come down to comfort and personal preference at the end of the day. 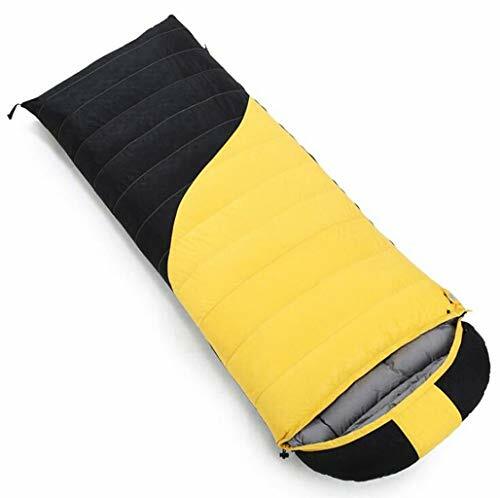 Sleeping pad compatibility: There are a few sleeping bags out there that have replaced the underside insulation with a sleeve to fit a sleeping bag. Some also merely have straps that connect to your sleeping pad to keep them as a unit. Sleeping bag hood: a hood can offer added warmth and possibly eliminate the need to wear a warm hat to bed. There are hoods available that use drawcords to tighten around your head to keep the heat inside. It also allows for a nice ‘nook’ to put your camping pillow to keep it from sliding around. Now that we’ve gone over how to pick the right sleeping bag for yourself, here are some of the best sleeping bags you can get on the market right now. There are far too many sleeping bags to choose from, and without doing the research beforehand, you might end up miserable at night. Once you have narrowed your search down to a few different bags, go to your local hiking and camping equipment store and try some out before you pull the trigger. With all of the factors to consider, the most significant concerns you should have are; will it keep you warm? And will you be comfortable? If you can get these two questions answered correctly, you are well on your way to get a good night’s rest under the stars.